Geez, it’s been one intense fall, hasn’t it?! I decided to stay in the U.S. for Election Day during my recent road trip. Felt historic and I wanted to be around for it. Boy it was intense in the household I was staying at, with mostly Clinton supporters aghast as the results came in. This Canadian was just thankful that it wasn’t mine to vote in. Since I’ve been back, I (like a lot of people) have been wary about the state of our world and what may happen. I’m still sorting through the various issues that personally trigger me and figuring out how I want to get involved. 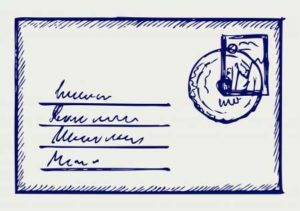 By way of a little self-therapy, I’m writing today’s article on a trio of things that I have taken solace in. That calm my nervous system down. With the hopes that they may be soothing for some of you too! If you aren’t aware of him, he’s a non-dual (unity) teacher in the San Francisco Bay Area. Right after the election he posted a letter on his Facebook page which has received its fair share of praise and push back. I like this post because its speaks to the polarities and emotional reactions going on. That there is a first impulse that most of us have to things that trigger us. That it helps to try to understand that first impulse before we act (and to understand where others are coming from). Doesn’t mean we don’t eventually act … as action is so important in times of cultural shifts. But the action stands a greater chance of coming from a more inspired place, therefore hopefully being more effective in the long run. I was born in the late 1960s so didn’t personally participate in that huge wave of social change although my GenX Generation was so shaped by it. One person who was right smack in the middle of many of the landmark civil cases of that era was lawyer Daniel P. Sheehan (Watergate, Karen Silkwood, 3 Mile Island, Iran/Contra to name a few). 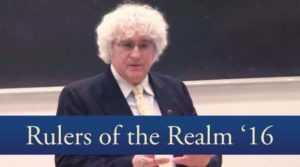 Mr. Sheehan’s 2016 ‘Rulers of the Realm’ course from Romero Institute is fully available on Youtube. You can listen to him give a vast background on the larger political movements of the last century that led up to this fall’s election. It’ll get you out of the Trump/Clinton polarities by looking at the larger structures that made these divisions possible. A whole other kettle of fish that is actually the bigger systemic problem. Interesting to watch his Facebook page for the current Indigenous Rights projects he supports. Note. For Gaia TV viewers, see Sean Stone’s recent Buzzsaw Interview with Danny Sheehan (its dynamite). If you aren’t a Gaia subscriber, now is a good time to become one with the promotion they are running. I know from my studies in Organizational Development, Change Management, Coaching and Energy Work, and being involved in all sorts of process work over the last two decades … that higher order is often preceded by periods of high discomfort, pain and chaos. That light AND dark make up the whole. That the dance between the two is what evolves us along in the bigger picture. Cymatics is “the study of sound and vibration made visible”. Upon seeing my first Cymatics video I feel in love with the visual beauty of frequency interacting with form and the promise it holds for seeming periods of chaos in my own life (and our collective life). The ‘click’ and restructuring that happens as the pressure reaches a crescendo. 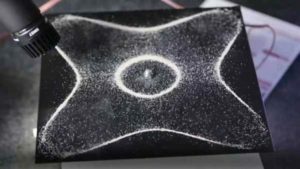 Watch the video below for a brief explanation of Cymatics and to see many visual examples of seeming chaos leaping to elegant structure. May it give you hope, like it does for me, that as the pressure turns up in our world, so does the potential for massive, important and beautiful shifts to occur to. That the two work hand-in-hand. Even though I have my confused, scared and depressed moments (will we SHIFT-IT as a planet?) at my heart I’m an optimist. I believe in the ultimate goodness of human nature (of the higher heart over the reptilian). I may not see the complete fruition of all that I hope will occur on our planet during my lifetime but the vision of it keeps me motivated to keep working. I hope you will keep working too!